You'll find everything you need—from food to electronics—at places like Target, Walmart, and Stop & Shop. The Dartmouth Mall has 75 stores, including Macy's and Old Navy, as well as a 12-screen movie theater. Downtown New Bedford is a short ride away, and features specialty shops, restaurants, and galleries. Fall River is fewer than 10 miles west of campus, and offers running trails, cafes, and exhibits and live music performances at the Narrows Center for the Arts. 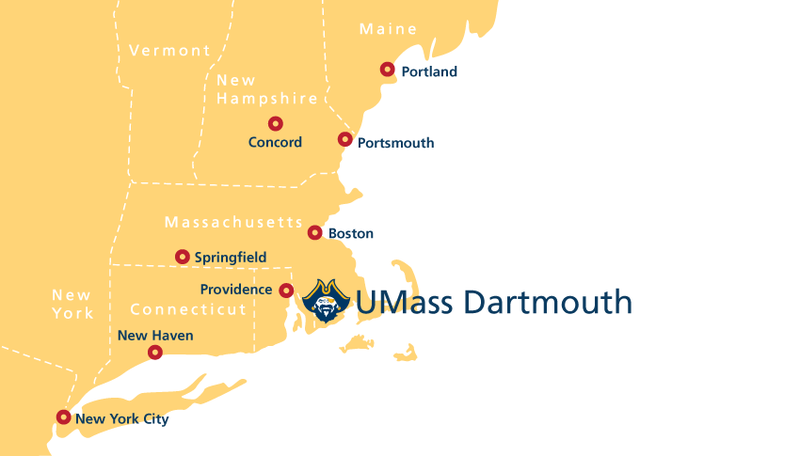 We are only 35 minutes from Providence and Newport, an hour from Boston, and just minutes from the beach.